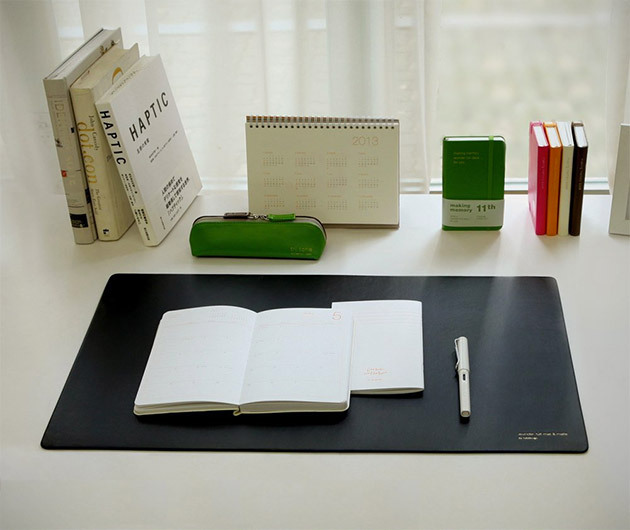 Brighten up your workspace or home desktop and make it a whole lot more functional too with a Satechi Desk Mat & Mate. Available in a range of dazzling and somber hues, the synthetic leather textured surface boasts enough room for keyboard, mouse and paperwork. Non-slip, it also provides support for the wrists while typing, writing and surfing the web.